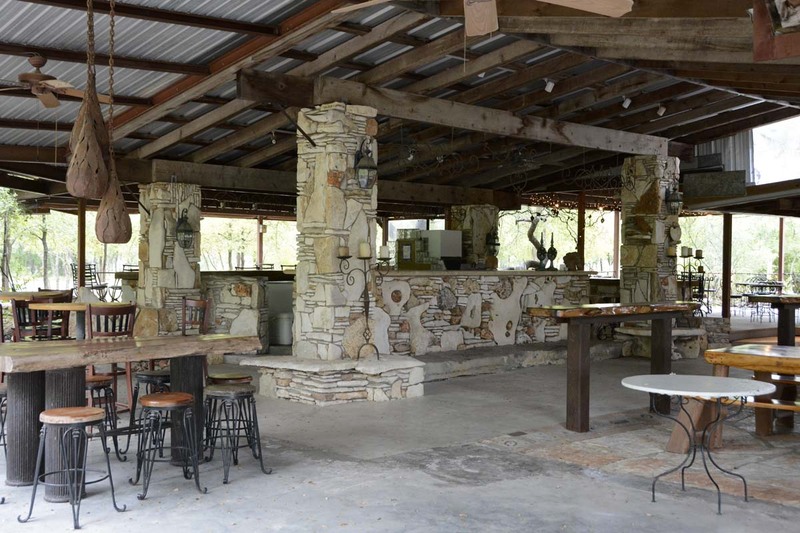 After the afternoon technical sessions, attendees can take a short bus ride (or follow the driving directions) to a beautiful and bucolic pavilion and ranch on the outskirts of town for drinks (the first one is on us! ), a barbecue meal, socializing, and attending the Outdoor Demo, a leisurely viewing of the latest geophysical instrument technology in an outdoor setting. 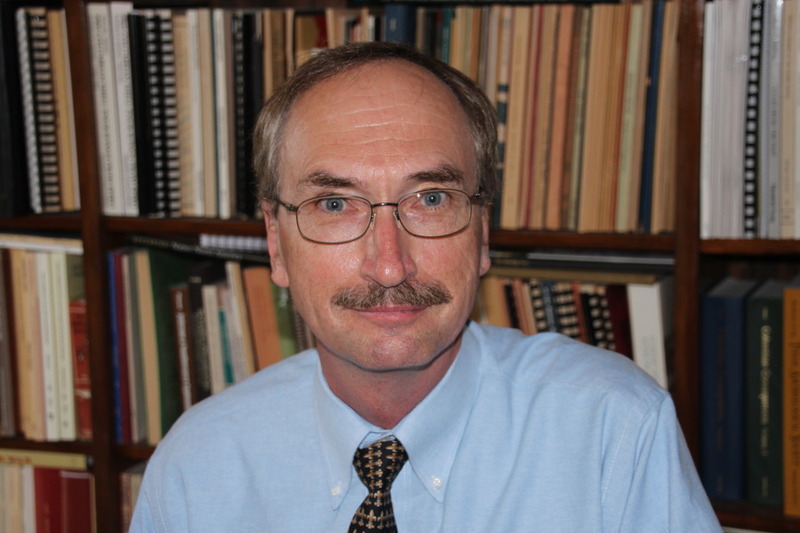 Dr. Jim Bruseth, a professional archaeologist and currently, the Guest Curator for the exhibit of the La Belle shipwreck at the Bullock Texas State History Museum will speak about the grand discovery and excavation of the French ship La Belle on the Texas coast. We may even have an opportunity for selfies with a live longhorn steer! Be sure to practice your horseshoe toss and bring your camera. There’s also a cave on-site. Everyone is invited to sign up for an all-day field trip to view "The Geologic and Engineering Wonders of Austin." 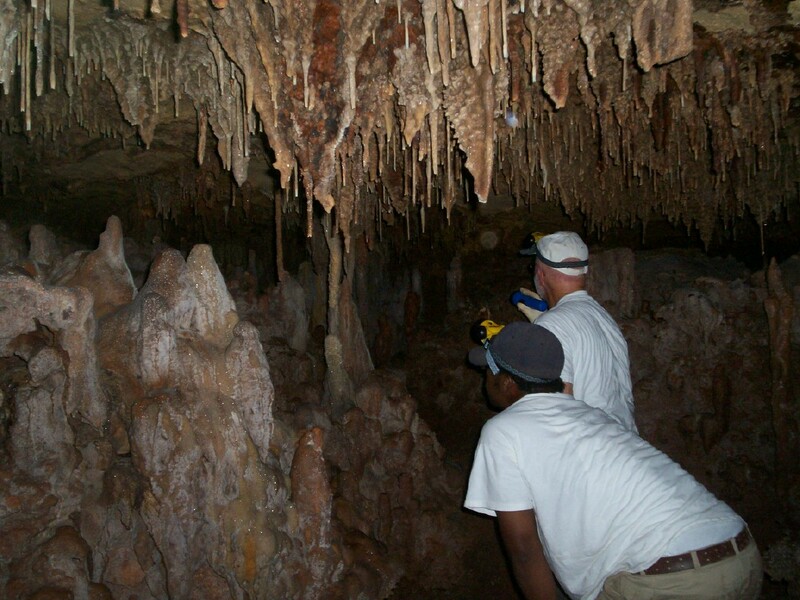 This tour, led by Charles "Chock" Woodruff, Ph.D, P.G., a local consulting geologist, will focus on engineering challenges facing a major city in a karst environment, and the resulting opportunities for geophysicists. A picnic lunch at iconic Zilker Park will feature Austin's famous Franklin Barbecue (without having to wait in line for hours). 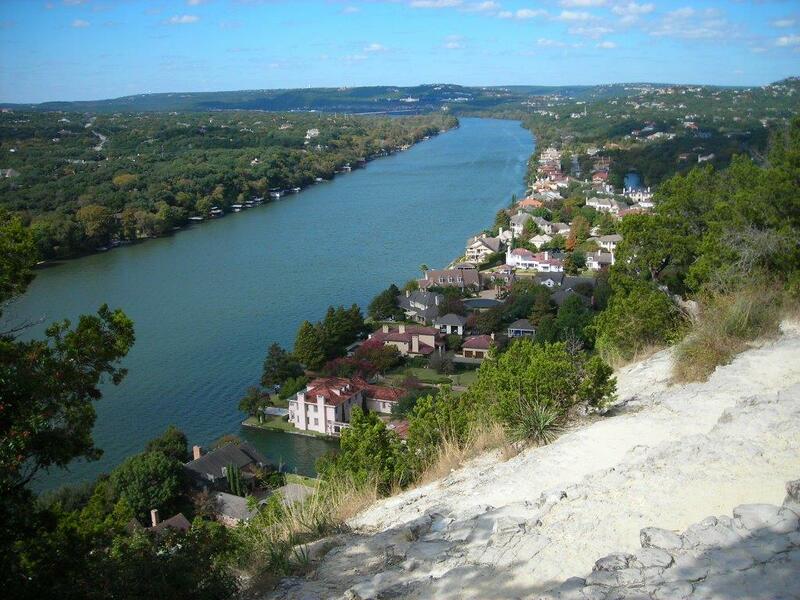 This field trip will visit several classic geologic, engineering, and hydrologic sites in the Austin area. Attendees will board a tour bus at 9 a.m. at the conference hotel and will make six field stops during the day. The first stop will be at Mt. Bonnell for a literal overview of Austin and discussion of the Balcones Escarpment and its importance to socio-economic history in Central Texas. Next we'll visit Redbud Isle just below Tom Miller Dam for a discussion of the dam's history of failure (and note geophysical attempts to reduce uncertainty in karst terrain). The third stop is just downstream at Barton Springs -- "The Soul of the City," where we will discuss the Edwards aquifer and more on karst. We will break for a picnic lunch near the Sculpture Gardens. Following our picnic lunch at Zilker Park, we will travel eastward across the urban landscape, allowing passing discussions of the Austin Chalk as "prime urban land" in contrast to the adjacent expansive clays dominating the faulted Taylor/Navarro section near IH 35 with all the engineering problems of that terrain. We may make a short rolling stop to consider the thick and extensive cover of alluvial terraces that mask underlying faulted bedrock where geophysics really can earn its keep. Near the Austin airport, we'll stop to view the Pilot Knob volcanic stump, an unexpected geologic feature in Mid-America! Finally, we'll continue east past the new Formula 1 track (Circuit of the Americas) and stop on the Blacklands at the Cretaceous-Tertiary boundary for a discussion of one of the most profound single geologic events widely credited with ending the age of the dinosaurs (yet the site is totally unremarkable in terms of its surface expression). We will return to the hotel by about 4 p.m.
About the Field Trip Leader: Chock Woodruff is a consulting geologist, a senior lecturer in the Department of Civil Engineering at The University of Texas at Austin, and a geologist at the Bureau of Economic Geology. He is an expert on environmental geology along the Balcones Escarpment of Central Texas and teaches courses on engineering geology. 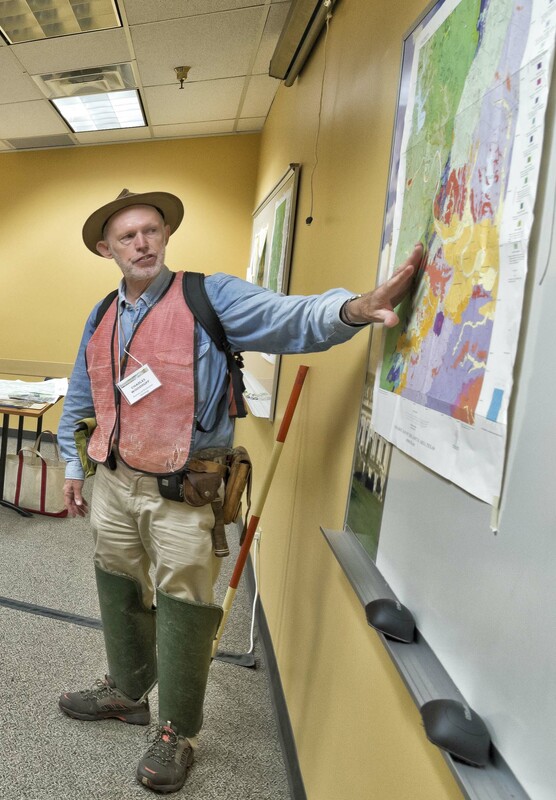 He has served many years as chairman of the Field Trip Committee for the Austin Geological Society and has led or co-led more than 30 field trips to geologic sites in Austin and the Central Texas region. He earned his B. A. and M. S. degrees in geology from Vanderbilt University and his Ph.D. in geology from The University of Texas at Austin. 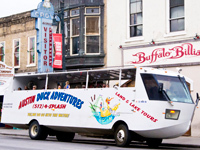 Tours depart from the hotel for a short, amphibious Duck vehicle tour of downtown Austin and the city lakes, Attendees will be back to the hotel in time for the popular SAGEEP Ice Breaker in the evening. 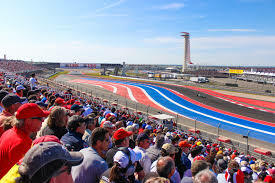 Austin's new Circuit of the Americas is home to the U.S. 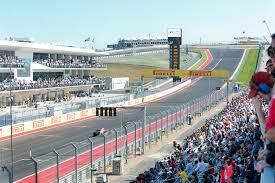 Formula 1 Grand Prix is held. Attendees will be back to the hotel in time for the popular SAGEEP Ice Breaker in the evening. Sign up sheet and more information available at the SAGEEP 2015 Registration Desk. 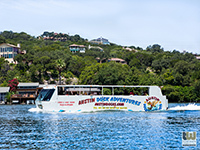 Be sure to make early plans to attend; Austin is a very popular spring destination and flights and rooms fill up quickly. South by Southwest SXSW is a set of film, interactive, and music festivals and conferences which began in 1987 and takes place in Austin every year. This year, it is scheduled for the week prior to SAGEEP (March 13-22, 2015) - so the city and airport will be busy! The SAGEEP hotel room block will include 3 days prior to SAGEEP, so plan to come early and attend this iconic Austin spring event!